The premiere plumbers in Savannah, GA! 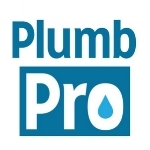 Our blog provides tips and content to help you diagnose and fix plumbing issues! Definitions and explanations of common plumbing, drain and sewer terms, tools, techniques and fixtures. Here are a few of the top reasons we get calls on a daily basis. If you are attempting to DIY your plumbing issues, please keep it simple.